Mortgage Update Los Angeles: Mortgage Industry Broken - Will Congress Fix it? It seemed an easy fix to prevent the excesses of the housing market: make home buyers put more money down. But as the housing market starts to return and the subprime mess fades from memory, the issue is up for debate. As one letter to the editor responding to the New York Times article quoted here notes below, this issue is only up for debate by those who believe the government should be involved in setting minimum down payments at all. As you read the following article, note that a supposedly knowledgeable reporter makes not a single mention of PMI or private mortgage insurance. It would seem even the government should be okay with private insurance companies taking the risk of default on loans below 20%. Interesting, too, is that virtually none of the letters to the editor dealt with PMI either. Go here to see the full story and all the letters if you like. Lenders and consumer advocates — rarely on the same side of the issue — are now cautioning against down payment requirements. They argue that such restrictions could limit lending, and prevent lower-income borrowers from buying homes. They also contend that the new mortgage rules put in place this year will do enough to limit foreclosures, making down payment requirements somewhat superfluous. The issue may not be so black and white. Regulators want to protect borrowers and promote homeownership. But they also want to encourage lending and insulate the financial system from future shocks. To underscore his point, Mr. Quercia studied mortgages in a special program for low-income borrowers, typically those with minimal down payments. From 1998 through the end of last year, 5.5 percent of the mortgages ended up in foreclosure, he found. Subprime mortgages made during the last housing boom, regardless of down payment size, had far higher foreclosure rates, roughly 25 percent. It is worth interrupting here to note that the 25% default was the result of many issues other than the low down payments.
. . . The proposed rules require banks to hold a slice of the mortgage-backed bonds they sell to investors. Banks do not like those types of restrictions. But lenders would not have to keep a piece of the bonds if the underlying loans included features that made them less likely to default. These exempt loans would be called qualified residential mortgages. Regulators effectively proposed that these loans should have a 20 percent down payment. The proposal prompted widespread objections from consumer advocates, bankers and home builders, who said the plan could shut many borrowers out of the housing market. Banks, they argued, are likely to focus heavily on making qualified residential mortgages. And if those mortgages require high down payments, lenders will be hesitant to make loans with little money down. Consumer advocates make a nuanced case. They do not deny that down payments reduce the risk of default. But they say defaults can be reduced almost as much by applying other rules that curb lending to certain types of borrowers. Consider another set of mortgage rules, already put in place this year. These rules emphasize the affordability of the loan. Under them, a borrower’s overall monthly debt payments cannot exceed 43 percent of personal income. In his study, Professor Quercia of the University of North Carolina found that loans that complied with those rules defaulted at a relatively low rate during the housing bust. About 5.8 percent of them went bad, irrespective of how much the borrower put down. He then calculated the losses on loans to borrowers in the same group who had down payments of at least 20 percent. The default rate on that smaller group was lower, at 3.9 percent. But that lower rate came at a cost. More than half of the borrowers in his study group had to be excluded from the second calculation, because they didn’t have down payments of 20 percent or more. This shows how restrictive a down payment rule could be, said Professor Quercia.
. . . Supporters of a down payment requirement also make a broader argument. They point out that the financial sector overhaul was not just meant to protect borrowers. It was also intended to make banks and financial markets more resilient to shocks like housing busts. In other words, the legislation always envisioned a trade-off between homeownership and the stability of the financial system. A lot of talk about down payments, debt to income, etc... and no mention at all of the basic credit score or rating. I would much sooner loan money to someone with 10% down who always pays their bills on time than loan money to someone putting 20% down who is a slow payer. Give me an honest worker who pays on time, all the time, over a high roller with a big down payment and a lousy repayment history. • April 24, 2013 at 5:44 p.m. The article was not informative. There are too many key variables missing. - first time buyers versus second time & more? 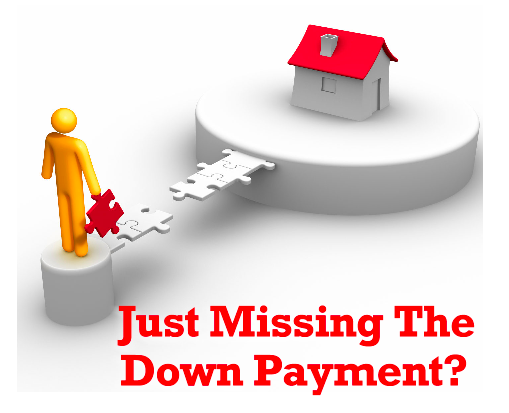 - 0, 5, 10, or higher percentage down payments or equity? - 25, 35, 45 % of income or even higher, against a full PITI? - no teaser rate or balloon? - if ARM, what terms and any yearly or lifetime caps?? - and reason for foreclosure: unemployment, divorce, poor money skills, medical? When I first went to buy a house in the mid 1990s, the rule of thumb was that one could afford a house that cost no more than three times one's annual income. You had to put down 10%, and pay PMI until you had 20% equity in the property. One couldn't get a larger loan because that was all one could afford to pay! If you don't have enough secure income to pay the mortgage, and don't have enough down payment money so that it will be less likely that you will wind up "upside down" on the mortgage should the market drop a bit, you can't afford to buy a house! And if that means that you'll have to raise the kids in a rental, so be it. Maybe it means that you can't afford to live in the SF Bay area, or NYC, or Boston. Maybe it means that you need to live in the Midwest, if you want to buy a home. Better that than all these defaults, and all these families living "house poor". Where do you stand on the issue? Do you believe it is prudent to let the financial and insurance industry set the limits regarding income requirements and down payments, or do you think the government should set strict rules? What effects would you expect from each choice?